As a follow-up to the last CCR wine tasting, we continue our Pinot Nero adventure. We will taste quality wines ranging from the traditional Pinot Noir vineyards in the north to a surprising tasting from the south. Grown primarily in the cool higher-altitude vineyards of the North, it is the terroir that makes Pinot Nero ‘Italian.’ Pinot Nero is a notoriously difficult grape to grow. 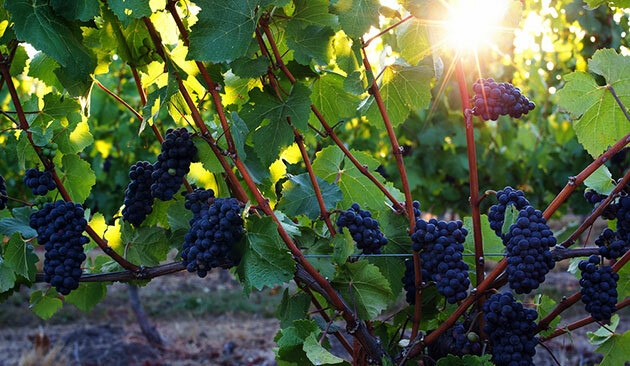 Despite this, wines from the Pinot Nero grape are among the most awarded and respected. Where: Residence of CCR member in the Balduina/Roma Cavalieri (former Hilton) area - exact address will be sent to registered participants. RSVP to Linda and Paul by Wednesday November 8, at canadarome@gmail.com. Please note that you are responsible for your reservation. Each session is given in French and Italian and focuses on a specific theme relative to Italian wines. After the tasting is complete, a light dinner will be served.